Berkeley was the trend setter in 2014 when voters there approved the first a soda tax in the U.S. with a resounding 75 percent of the vote. That same year San Francisco voters rejected a soda tax. But supporters were not deterred. Now, new efforts have resumed in San Francisco and in Oakland to move through a tax with a goal of fighting the obesity and diabetes epidemic. Both cities seem to be applying lessons from the Berkeley playbook to see the taxes through. First, a bit of review: in 2014 San Franciscans considered a dedicated tax, one that would be earmarked to fund specific health programs. That kind of earmarked tax needs a two-thirds supermajority approval to become law. With 55 percent of the vote, it fell short of the threshhold. Berkeley, meanwhile, had pursued a different path, one where the proceeds of a tax would go toward the city's general fund. But the law called for the creation of a health panel to advise the Berkeley City Council on appropriate programs to fund. This approach requires only a simple majority -- 50 percent plus one vote -- to pass. Backers of the Berkeley soda tax also cultivated a long list of supporters, including health organizations and grassroots groups. “We’re building a much stronger community coalition," says San Francisco Supervisor Malia Cohen, one of the sponsors of the 2014 effort and a backer of the current move. "We’re taking a much more thoughtful and grassroots focused effort this time around. We have learned from errors." Cohen says 10,000 signatures are needed by a July deadline to place the item on the San Francisco ballot. Nine-thousand people have already signed and she expects the remainder by late May, well in advance of the deadline. The Oakland City Council, meanwhile, is weighing whether to directly place a soda tax on the ballot. The proposed measure will be heard in committee this Thursday. If it passes there, it goes before the full board. Adam Simons, chief of staff for City Council Member Annie Campbell Washington, one of the proponents of the ordinance, said he expects it will be approved for the November ballot. "We're feeling very confident it will move through," he says. Globally, the first soda tax was in Mexico. Its tax took effect in January, 2014 -- 11 months before the Berkeley and San Francisco votes. Consumption of sugary drinks dropped 6-12 percent in the year after it was implemented and raised millions for the Mexican government. More recently, the British Parliament passed a soda tax just last month. Philadelphia's mayor has pitched a three-cents-per-ounce tax. The California legislature is considering a two-cents-per-ounce tax. But multiple attempts at a tax or even a warning label have failed at the state level in recent years. The taxes achieve multiple goals, advocates say, not just the obvious one to reduce consumption of sugar-sweetened beverages. The effect of a tax to get people to switch to healthier beverages is, at best, modest. But the taxes also raise money and awareness. In just over a year, Berkeley's tax has already generated more than $1.5 million for nutrition and health programs. Harold Goldstein, executive director of the California Center for Public Health Advocacy, has long worked on educating the public about the harms of sugar-sweetened beverages. He says "soda tax's time has come." "We're at the point of no return where soda taxes are going to be sweeping the country and sweeping the world," he says. Sugary drinks -- sodas, energy drinks and fruit-flavored beverages -- are the number one source of added sugar in the American diet. 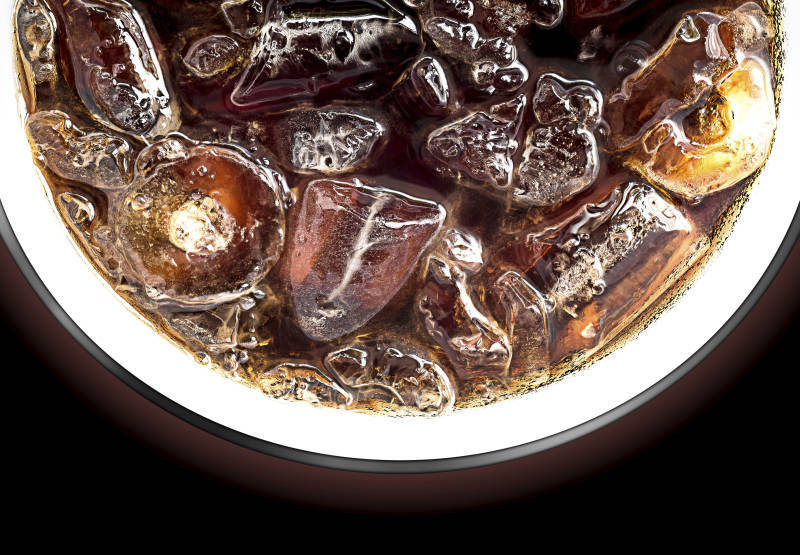 A 12-ounce can of Coke, for example, has more than nine teaspoons of added sugar. Health advocates argue that these beverages and their so-called empty calories put people at higher risk of type 2 diabetes and obesity. "So taxing soda to raise a lot of money to solve this problem is it," says Goldstein. "They are a product that should be taxed so you have the revenue to solve the problem that they are causing." The beverage industry fires back that obesity and diabetes are far more complicated problems than can be solved by taxing a single product. And the tax is regressive, they say, hitting poor people hardest. The American Beverage Association spent $9.1 million defeating the San Francisco tax and another $2.4 million fighting the Berkeley measure in 2014. Some voters in Berkeley voted against the tax because they did not trust city government to spend the money on health programs. Since the tax is not earmarked, governments can allocate the money however they like. In Berkeley, diet drinks with very low calories, 100 percent fruit juice and most milk products are exempt from the tax. Infant formulas are exempt. Sports drinks like Gatorade, energy drinks, sweetened teas, fruit-flavored drinks and sodas sold both in bottles and cans as well as fountain drinks are taxed.